I’ve just spent that last hour reliving some of my special moments of 2012. (I left out all my favorite recipes and food tips, since that will be for tomorrow. 🙂 ) This has held a range of emotions for me as I struggle through blogging/work and real life, and it’s been quite introspective as well as I re-read all my posts from my Peru trip and just how that impacted me. It also gave me time to reevaluate where I desire Balancing Beauty and Bedlam to head this next year, and see the categories that I’ve let slide a bit. I realized that I’ve let my Frugal Fashionista posts go by the way side and will pick those back up for 2013. I’m not sure why I did, since I have way too many pictures on my camera of outfits, but I’ve been feeling a little bit more insecure in putting pictures of myself “showing off” my outfits, so I need to get over that, don’t I? Daily, I talk, share and pray through mothering topics, but I typically keep that for my in real life friends and don’t write about it on the blog. That will change. 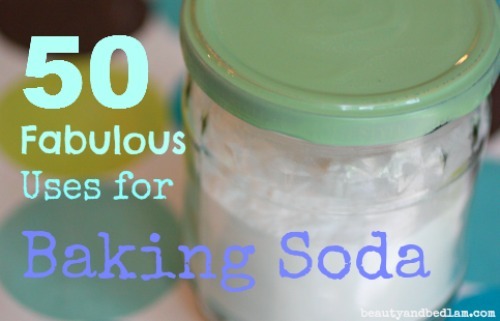 50 Fabulous Uses for Baking Soda. Put this frugal wonder product to more use than you ever dreamed by finally answering your question of what is Baking Soda used for. I love this post, and really do live by it. 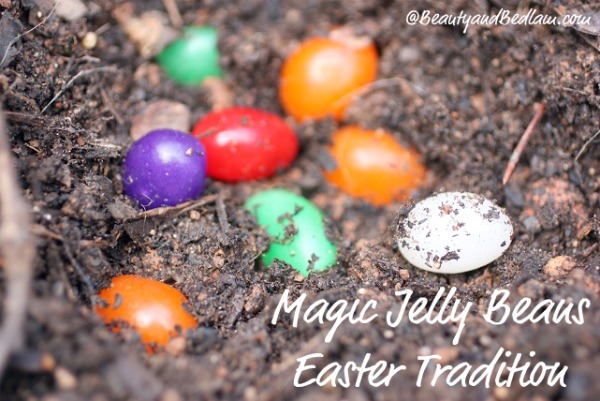 Encouraging your children to make wise choices, especially when they know that those Joy filled jelly beans (Magic Jelly Beans) may grow into lollipops, sets a whole new precious tradition for your family. This is one of our family favorites. 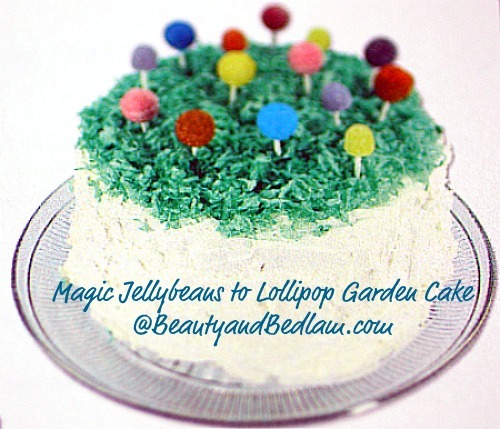 Or create a special twist with those Magic Jelly Beans by growing their very own Lollipop Garden Cake. 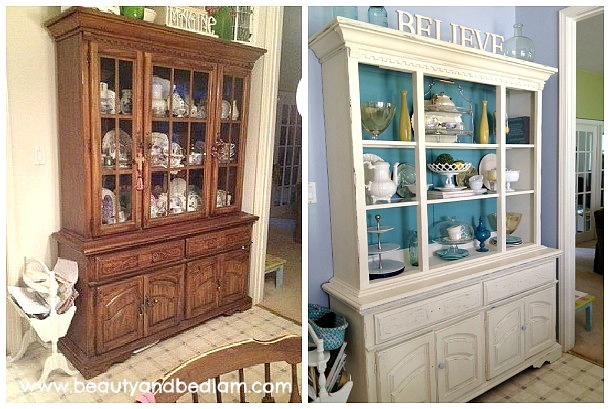 My Before/After DIY Color Pop Hutch Transformation. I will be really ramping up the DIY projects this year, and can’t wait to inspire each other together. This will be a huge focus for me this new year. 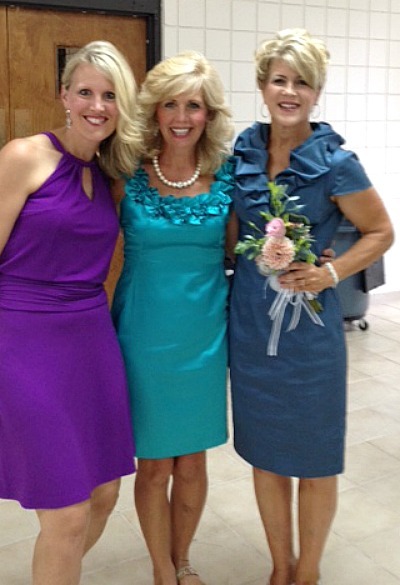 Our Family Wedding: Frugal FAshionista style. When my life is lived on an 80% lifestyle, frugal fashion always comes into play. Dear Me: a Letter to my Teenage Self. I shared some thoughts to my 16 year old self and will be sharing a lot more heart stories this coming year. While 2012 was primarily focused on practical tips, ideas and projects, those will continue, but I will be mixing it up a bit more for 2013. 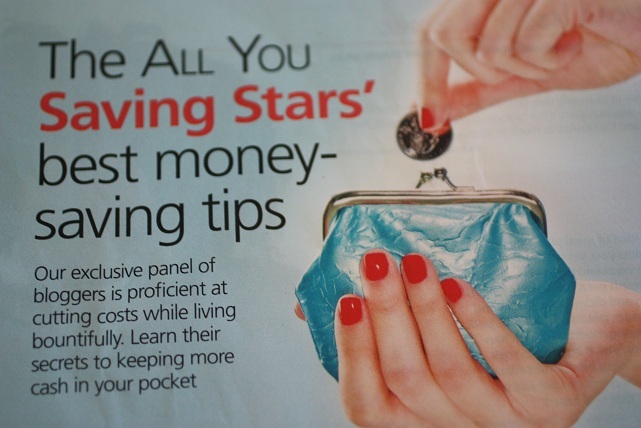 How a magazine outted my age and what I am doing about it. Continuing later in the year with more “50’s,” I wrote a post completely attributed for my Mason Jar Love. 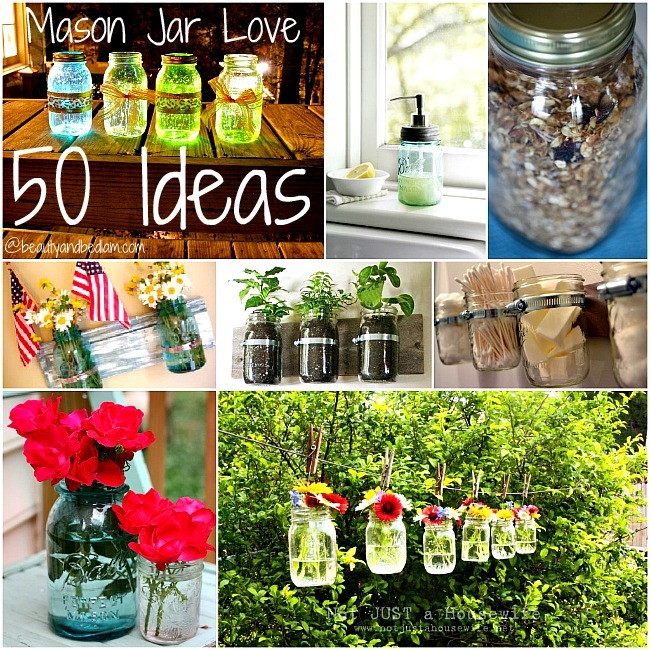 Yes, 50 ideas for using Mason Jars, and since I wrote that post, I could probably add in some more. 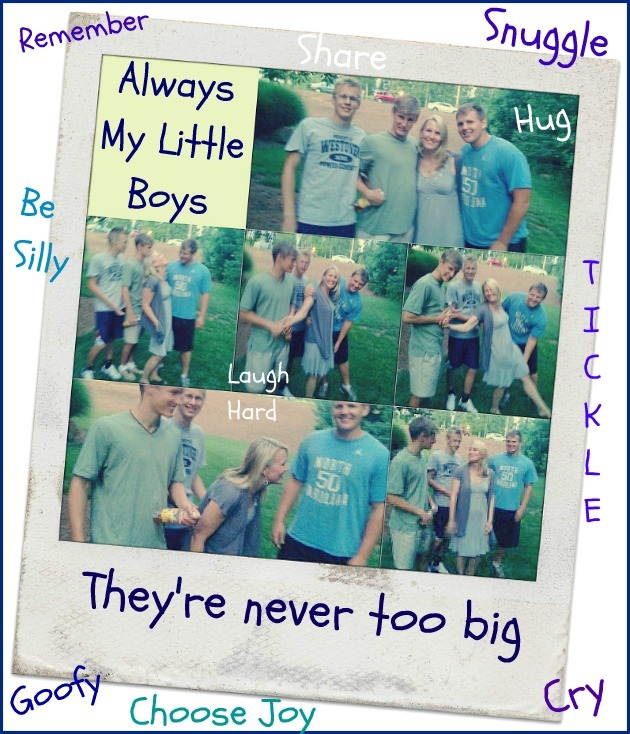 Tradition ideas and Free Printables – I added many some more free printables that tie in with some of our favorite family traditions, as well as many kitchen organization printables. I will be doing another Eat from the Freezer challenge over the next few months, since our deep freezer is TOO full and I will definitely be needing to keep inventory after that. I will be updating them and slowly adding them to 10 Minute Dinners. 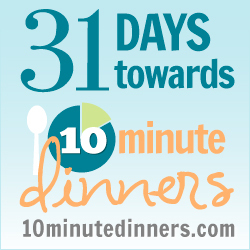 I launched 10 Minute Dinners, which proved to be a site that many need, but then I made a huge blunder and let it go by the way side ever since my trip to Peru. Not a great business model, but I am excited to rejuvenate it, and get the help I need to back it up and thriving for 2013. This is mainly how I live my real dinner life, so why not share it throughout the week? 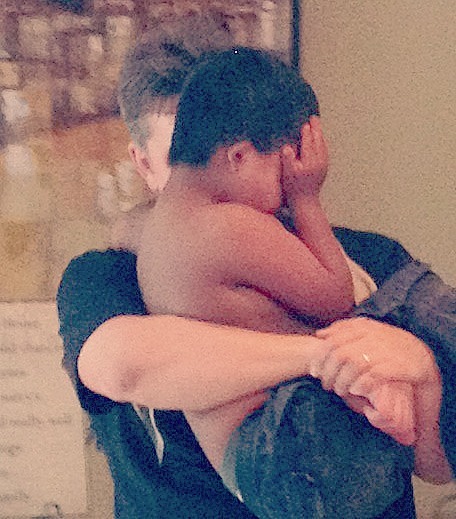 How ones whole life could change in a terrifying instant came from a scare we head with my precious blessings, Edison. 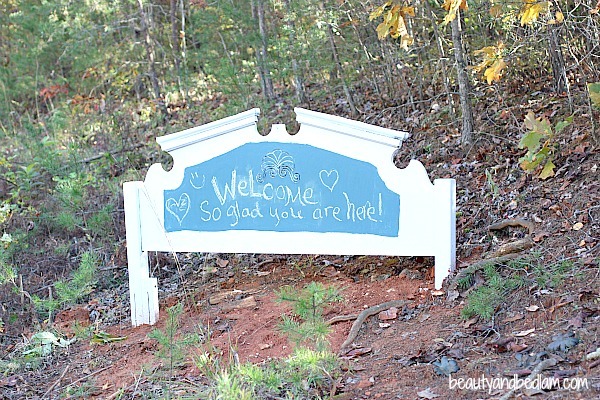 Every day this old headboard turned Chalkboard Welcome sign greets me and I smile, knowing that my daughters had a blast turning this trash into a treasure. They’re never too big. Don’t take No for an answer. Thanks for continuing on this journey with me. Your comments and support mean the world to me. Every time I wonder if it’s worth it to keep putting myself out there on this blog, just the right word comes from one of you all and it confirms that it is, even if it makes a difference in just one person’s life. It’s been a processing year for me here at Balancing Beauty and Bedlam, but I am so excited for all the promise of 2013 and the excitement I feel as it is ready to launch. May you have a blessed New Years. Thank you, Jen, for the many blessings you have brought to my life this last year. I think I found your blog sometime in March and you have opened the world to me in so any ways. You’ve inspired me to laugh more, to try new recipes, to be more frugal, to not be afraid to make changes in my personal life, spiritual life, with my family, and to try DIY projects or at least encourage my husband to do a DIY project for me…lol… (our whole dining room set is in the makeover process). Most of all, you touched both my life and my husband with your trip to Peru. I started reading each day’s account to my husband and we both felt such compassion for the people you introduced us to and oftened were moved to tears. One of our main goals for this next year is to become involved with Compassion Ministries and to begin supporting “our child”. I am looking forward to sharing in your blog this next year and learn more of how God works in all areas of our everyday lives. My prayers and God’s blessings on you and your family in 2013! praying many blessings for you and your family in 2013! so glad God brought your blog to my life,I am enjoying learning new things from you. we have enjoyed the recipes and look forward to more from freezer,c.o.s.t. or any othe recipes. thanks for ALL the other frugal things you have shown to me. love it and thank you. I am so glad you will be posting more of your fashion ideas. That has really helped me. I have also been so inspired by all the ways you and your family choose to honor God and serve others. You help keep me inspired and challenged. Thanks for blogging…I hope you and your family have a great new year! I think when we all look back, we accomplished more than er thought last year. Sounds like you covered quite a bit.